We are so thrilled to have this group of expert judges for the 6th Annual Philly Chili Bowl! Get to know the judges who will crown the 2015 Philly Bowl winner!! After years of following his passions for travel (33 countries) and linguistics (4 languages), Joncarl Lachman turned to settling down and achieving a life long goal of restaurant ownership. A graduate of New York City’s Institute of Culinary Education, Lachman was the winner of the inauguaral “San Pelligrino Almost Famous Chef” Award in 2002. He has worked under the tutelage of Nora Pouillon (Washington DC “Restaurant Nora”) and in NYC, Anne Rosenzweig (of Arcadia and Lobster Club) who remains a trusted friend and mentor. 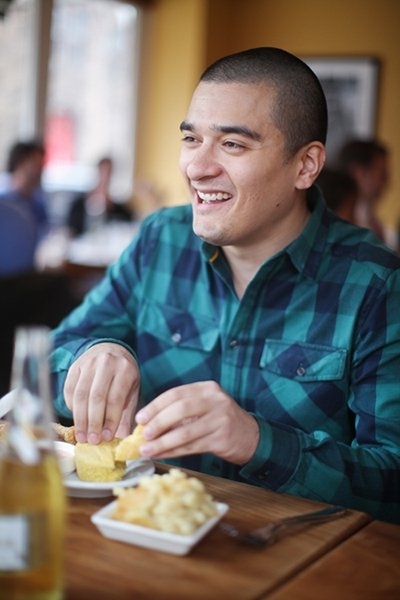 In 2005 he opened HB Home Bistro, a Michelin Ranked New American Restaurant in Chicago’s Lakeview neighborhood. 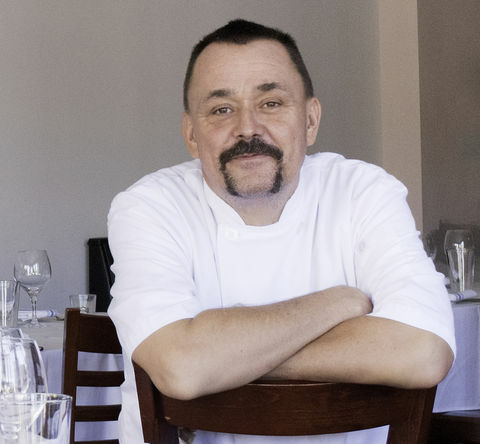 In 2010, he opened his second restaurant Vincent, where he was able to express his love for his Dutch heritage and serve modern takes on the cuisines of Amsterdam. Returning to his hometown of Philadelphia has always been in the plans. In late spring of 2013 he opened NOORD eetcafe, an homage to classic Northern European bistrofare with an extensive smoked fish program. Next up is a new bar/bistro in the Italian Market. Stay tuned! Moving into his six year of judging both the Philly Chili Bowl and Wing King, Drew is one of our most beloved judges! A native Marylander based in Philly, Drew Lazor covers food, drink, movies and music locally and nationally contributing to local food reads such as Serious Eats, City Paper, Philadelphia Inquirer, Philadelphia Daily News, Bon Appétit, Condé Nast Traveler and recently Lucky Peach Magazine. Most recently, Drew was a contributor for the hot new German cookbook, New German Cooking, released along with Philly chef, Jeremy Nolan of Brauhaus Schmitz! Grab a copy! It’s a beautiful book, and interestingly, the most recent German cookbook released in years! 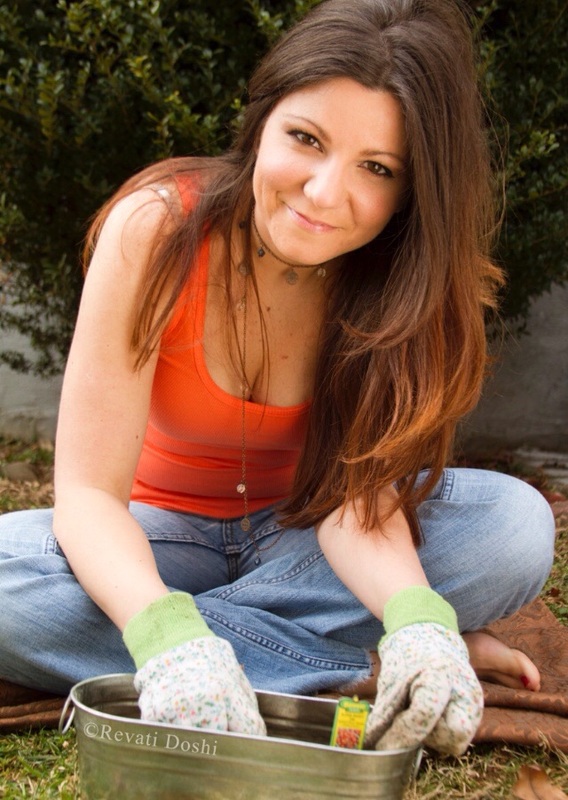 Roberta Pipito is a home chef, food, beer and wine connoisseur, and blogger. Her lifelong passion for cooking led her to create her blog in 2011. The name “Homemade Delish” seemed fitting for this Philadelphia wife and mother of two who takes pride in being the daughter of a professional baker. Mason Wartman, once a Wall Street stock researcher, found his calling of starting his own business after feeling like his job had plateaued. 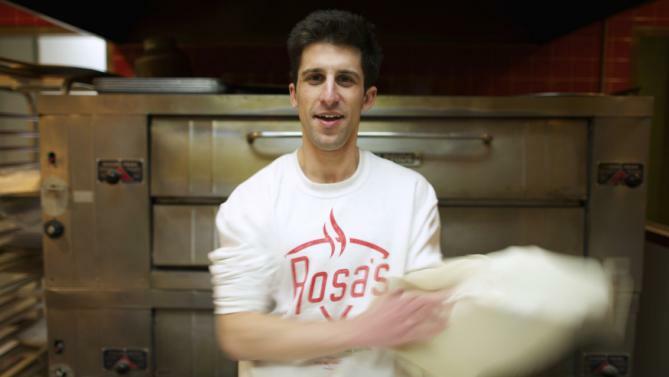 He moved to Philly and opened Rosa’s Fresh Pizza, named after his mother. Using the simple buck-a-slice business model, he simultaneously also launched a pay-it-forward program. Mason Wartman, insures that for each piece of pizza purchased at Rosa’s, one slice is donated to the homeless. So if you buy a pie (8 slices/$8) Rosa’s will sit 8 slices on the counter for homeless members of our community, sometimes 40 a day, to walk in and pick up a slice at no cost! The concept of paying for others’ pizza ahead of time started when a customer wanted to buy a slice for someone in need and wrote it on a a post-it note. Today, post-it notes cover the walls inside the shop from patrons wishing those in need some words of encouragement. BigBite Philly is proud to support this forward-thinking mission and will be donation a portion of the Philly Chili Bowl proceeds to Rosa’s. A chef hat is not the only hat Jennifer Zavala, former Bravo’s Top Chef alumn, wears. Jen dabbles in many things – all with one common theme – food. 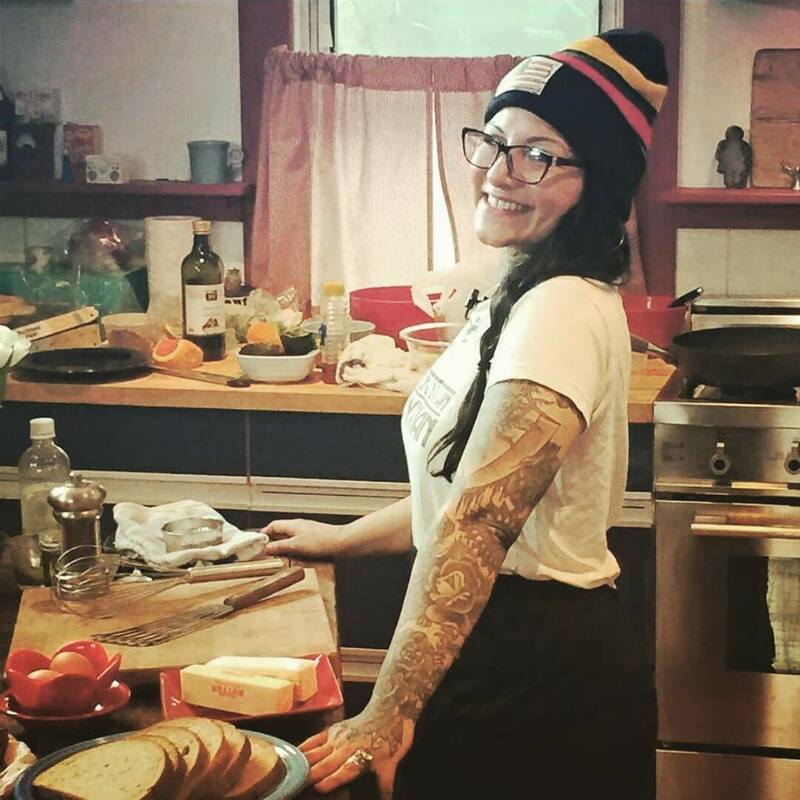 She has worked in several notable Latin-driven restaurants and gastropubs in Philly before launching her own food truck, CherryBomb Bus. Jen has also been part of several local and unique food events including Hen’s Revenge, a female-focused industry night, pop-ups at Garage Philly (with food-themes like “Roseanne”), and most recently will be working on the High-End Cuisine TV show on Scrapple internet TV, an online TV show which Jen is also a host for. Note: Scrapple TV will be at Philly Chili Bowl taping live!